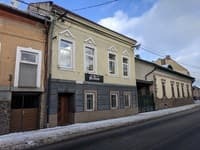 Hostel "Misto" is located in the very center of the city, 900 meters from the Theater Square, and 5 minutes walk from Uzhgorod Castle and Podzamkovsky Park. There are ten, eight-, six- and two-bed rooms in which 40 guests can stay at the same time. 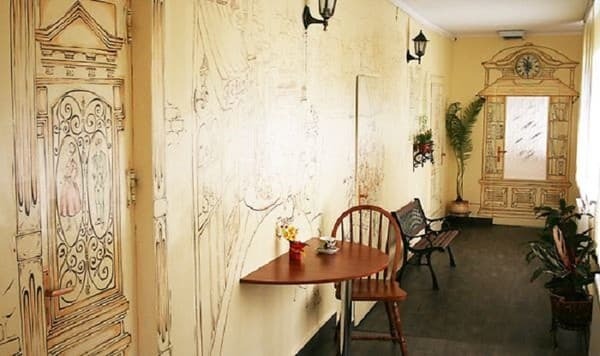 Each room at Misto Hostel is decorated in a classic style, with lockers for storage, satellite TV, free Wi-Fi. Each resident hostel "Misto" can use the shared kitchen, a relaxation room with a DVD player and a TV with satellite channels. Within a 5-minute walk are many cafes, restaurants and local monuments. 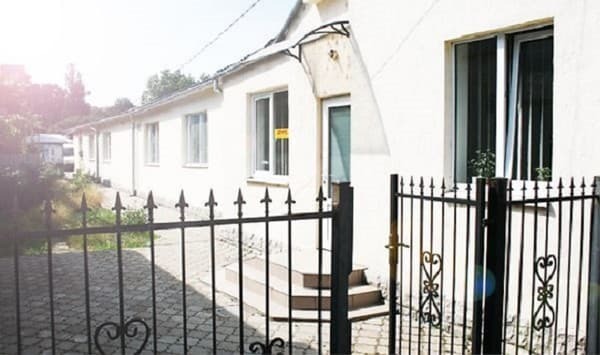 The distance to the central railway station of Uzhhorod is 2 km, to the airport - 3 km. Description of the room: The cozy room is equipped with 4 bunk beds. Description of the room: The room is equipped with three bunk beds and lockers for storing things. 1. Красивые интерьеры; 2. Удобное месторасположение - близко к центру ; 3. Чистые комнаты; 4. Много душевых и санузлов на этаже. Никаких претензий к хостелу не имею. Все чисто, зручно, немає черг в туалет і ванну. Було тихо, ніхто не заважав. 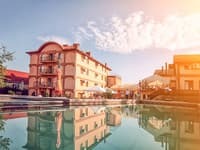 Дуже креативні стіни в коридорі. Була відсутня шторка в душі, відсутній туалетний папір. Фактично в центрі міста:кінечна зупинка автобусів, поруч супермаркет, кав*ярні теж, ужгородський замок. Зручна кухня, сан.вузол -все у відмінній чистоті. 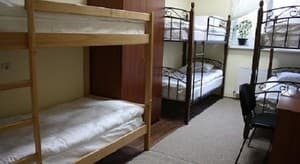 In the double room you can deliver an extra bed, the cost of bed linen is 50 UAH. 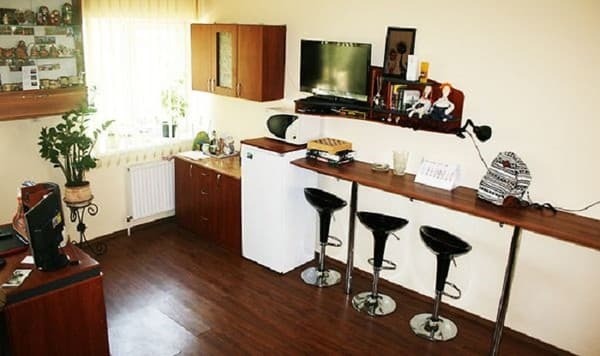 The hostel has a fully equipped kitchen for self-catering. In walking distance from the hostel there are many cafes, restaurants and bars where you can eat. 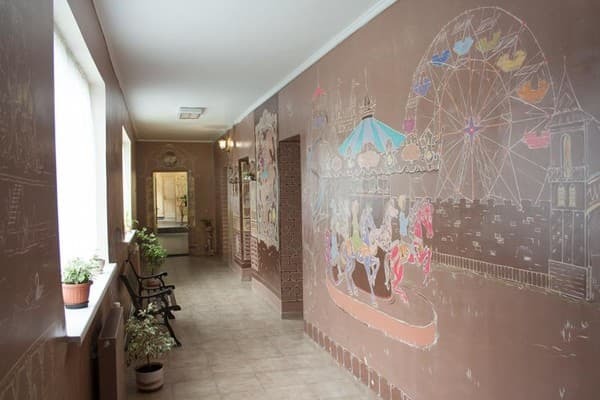 Hostel "Misto" is located in the very center of the city, 900 meters from the Theater Square, and 5 minutes walk from Uzhgorod Castle and Podzamkovsky Park. 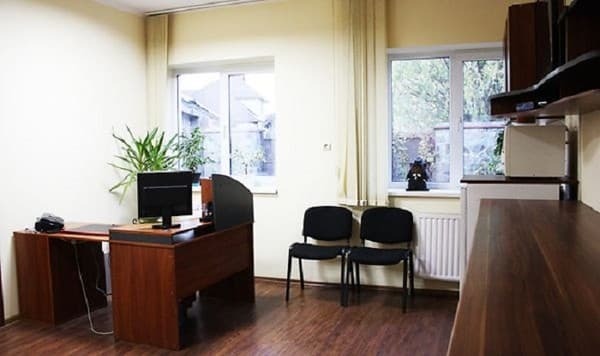 The distance to the central railway station of Uzhhorod is 2 km, to the airport - 3 km. From the railway and bus station to the hostel you can take a minibus taxi number 5, 9, go to pl. Koryatovycha, further on foot, 300 m from the square is the hostel.